A perfect present for every mobile phone owner. 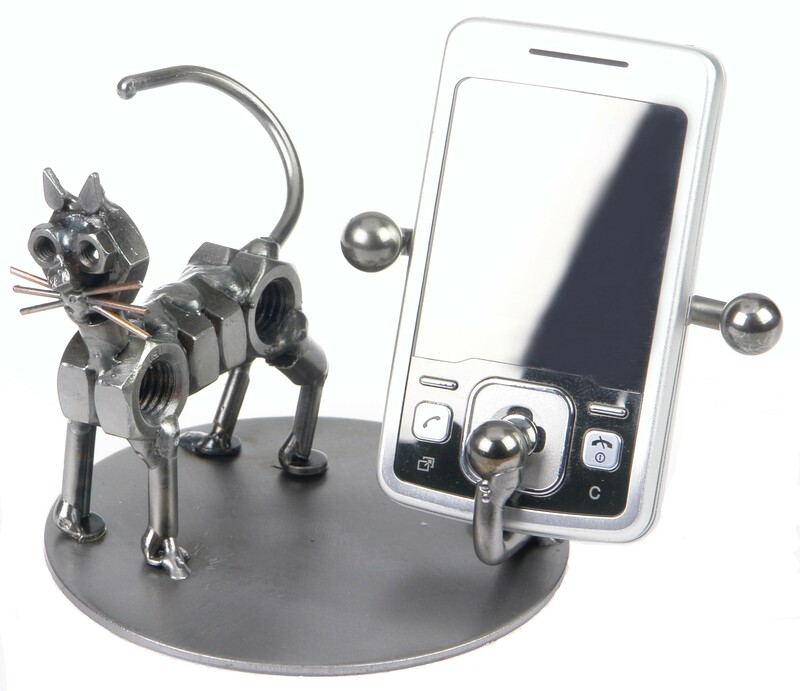 Our metal mobile phone stand with a cat will make sure that your mobile is always within your reach. It can be placed everywhere you want: on the shelf, on the desk etc. Perfect for everybody, not only for cat owners and lovers.